I don’t know about you guys but I am finally starting to feel that spring is almost here. 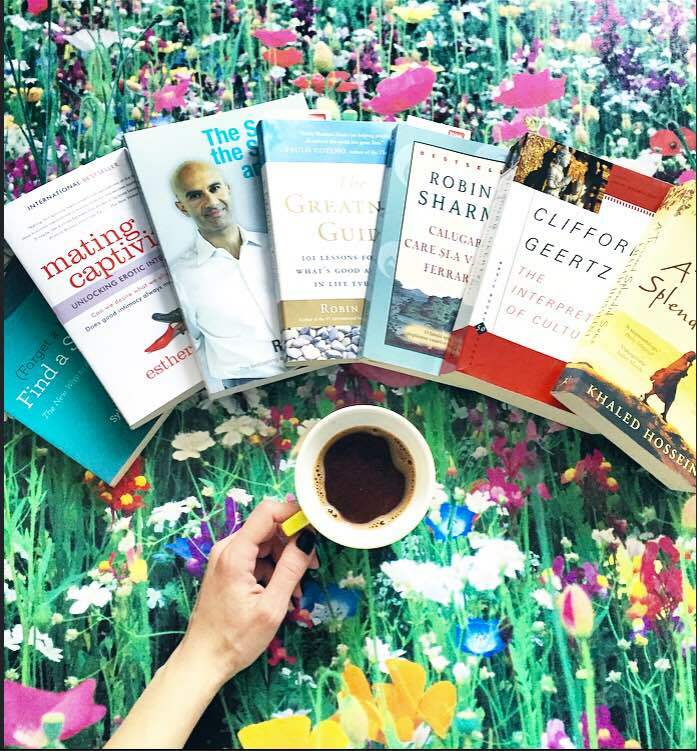 Longer daylight, greenery coming to life, looking forward to grab a blanket & a book and head to a park :) I thought of today’s post as a small exchange between all of us, so we can be prepared with a nice list of books that we could read this spring. The Greatness Guide, Robin Sharma – read this already as it was a wonderful gift I received from my friend Varvara and made me immediately purchase the next two listed books. Felt a great connect to Robin Sharma’s work and his ways of helping people self-connect, perceive the world and aim towards a happier life. This book is a summary of his life lessons in 101 very important chapters. Big recommendation to get this one! The Saint, the Surfer & the CEO, Robin Sharma – also checked from my list! :) This is maybe that one book that comes along and has the potential to be an eye-opener. It’s most likely helping us to be true to ourselves and to live the life that makes up happiest. The Rosie Project, Don Tillman – had to add a feel-good funny item on my list. Got recommendations for Don Tillmans’s work from multiple directions so thought of giving them a try. A Thousand Splendid Suns, Khaled Mosseini – an intriguing novel about family, friendship and faith spreading over 30 years of Afghan history. Books tend to be a great source of excitement for me so I would like to be all selfish and ask you guys to share your top 5 wanna-read list for the upcoming spring months. Would love to hear which types you are mostly interested in and which authors, what you are expecting to learn from them :) Until next week, Manu and I are wishing you great productivity and knowledge enrichment as well as a very nice start of spring!